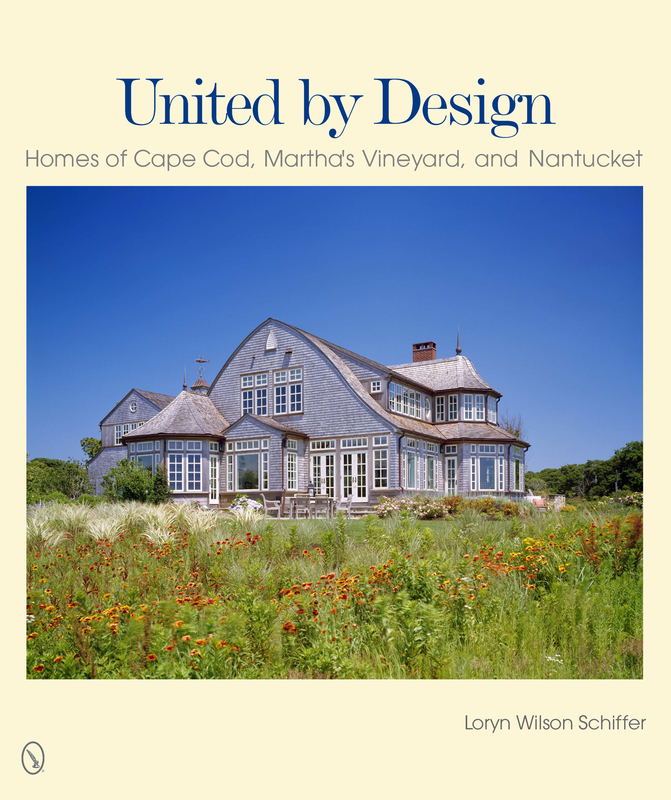 Three of Aline Architecture’s house designs are featured in this beautiful and diverse collection of the architecture of Cape Cod, Martha’s Vineyard, and Nantucket, by Schiffer Publishing, Ltd.
Atglen P.A. — Discover a diverse selection of beautiful Cape Cod, Martha’s Vineyard, and Nantucket homes from a dozen of the top architects practicing in this region. Breathtaking landscapes and water views abound throughout this area, providing a powerful backdrop for the homes that are situated there. With more than 40 projects, this design book features homes ranging from traditional shingle style to very modern designs, and from modest cottages to grandiose estates. Explore them inside and out, and learn about the architects, designers, builders, and other masterminds behind their creation. See the stylistic preferences unique to each architect and firm, including drawings, models, and floor plans, and be inspired to create your own dream home. This is a quintessential coffee table book that makes a perfect gift for all home design and Cape region enthusiasts. Schiffer Publishing, Ltd. is based in Atglen, PA on the Schiffer Book Farm. The company is known for publishing high quality Antique, Arts, Architecture, Lifestyle, and Military History books, as well as a successful line of children and ghost books.You may contact Marketing and public Relations at (610)-593-1777.